Have you ever tried to reach out to an old college buddy but found that your emails to them bounced back and the only other contact information you had for them was actually for their parents’ house, in which they no longer lived? Well that happens to your college, too. A lot. Fundraising to get donations from alumni is one of the major ways higher education institutions sustain themselves. However, it is difficult for them to do this effectively when they have incorrect or missing addresses, both physical and digital. One group of potential donors that often goes unreached during fundraising campaigns is young alumni. 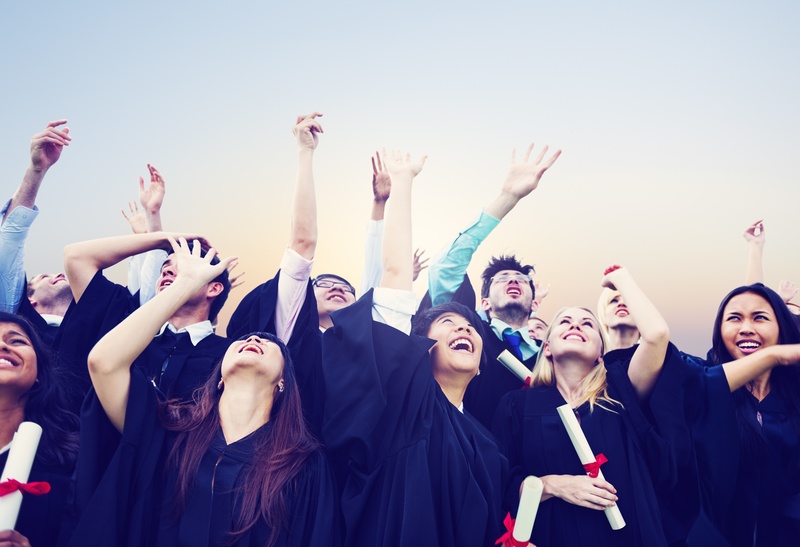 Even if universities are pushing to acquire the attention of recent graduates, they don't often see much success due to the challenge they face with address upkeep. While direct mail campaigns are usually successful, for example, this can only be true if the direct mail piece reaches the correct mailbox. With young alumni who are more likely to move around following graduation, this can be a problem. A lot of this mail might be showing up to their childhood home, but there is no guarantee it will reach the student. In my case, that works out just fine because, like a decent amount of millennials, I’m still living in my mother’s house five years after graduation. Even though my school, Roger Williams University, has my mailing address, I rarely see material regarding giving and all of their communication comes in the form of direct mail, nothing digital. To be fair, I have no idea how they could have my email address. I was locked out of my school email account years ago. Recently, I was sent a link from my senior year roommate that would allow me to receive communication regarding our fifth reunion, which is just around the corner. Once I clicked on it while using my phone, I was brought to MobileCause, which is a text-to-give platform. I know this because I have interviewed Lori Cochrane, Roger Williams’s Chief Advancement Officer, and she explained the platform to me. According to Lori, Roger Williams has started using new online marketing platforms within the last couple of years. Alongside MobileCause and their basic email fundraising campaigns, they have also started using an online giving format, EverTrue. With the help of these platforms, the school has increased their digital appeals and they are seeing more donors give in these ways. But could they be reaping even more digital donations if they had more email addresses, like mine for example? So, I got back in contact with my alma mater and ended up speaking to a former classmate of mine, Lauren Tierney, who is now our school’s Assistant Director of Young Alumni and Student Engagement. She has helped a lot with the development of RWU’s fifth reunion program and explained that 2017 was the first year they put a concentrated effort towards the fifth reunions (aka young alumni). The school has had similar events in the past, but for the class of 2012 the Office of Institutional Advancement made a push to focus on their fifth reunion and formed a very helpful committee. Lauren and some of her colleagues watched other universities find success with strong reunion programs. RWU is a fairly young school; it started as a junior college in 1956. Because of this, older alumni socialize outside of their graduating class more often than younger alumni. Lauren said they often identify by decade. Of course I interacted with people from other grades and friendships were formed across classes, but there was still that 2013 connection that followed us from the time we were scared freshman experiencing new things together, until we were standing up at our commencement ceremony to throw our caps into the air. That class connection didn’t suddenly go away as I was packing up my dorm and hitting the road, and RWU knows that. Any sentimentality my class feels when seeing the number 2013 can be used to get our attention. I was more than happy to fill out that fifth reunion form and am considering attending the event, but Lauren confirmed my suspicion about what happened to my email address after I sent it into the void. According to her, that disclaimer that I mentioned is in regards to the company MobileCause and is not about the school itself. Lauren agreed that addresses get lost in the fray all of the time, despite everyone’s best efforts. 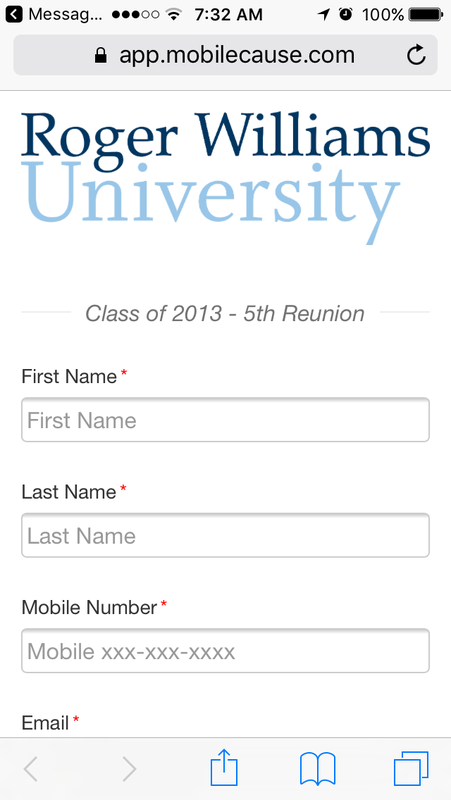 The Office of Institutional Advancement was well aware that this fifth reunion form would help them get up-to-date information on recent graduates who are currently missing from their database. In fact, this form almost instantly helps them update their system. My information, and anyone else’s who completed this form, had to be entered into their system in order to get the communication we were asking for. This, however, opens up a whole line of communication that the school can use in the future, potentially regarding general fundraising at some point. Any disclaimer coming from MobileCause is essentially just to assure us that they won’t sell our information to other marketing firms that they work with. So what about recent graduates who don’t hear about their upcoming reunions, or who do hear about them but don’t want to fill out the form and/or attend the event? How does RWU keep track of their ever changing contact information? I asked myself this question after going through my previous research on higher education fundraising that is mostly regarding my university, as well us Suffolk University. According to Suffolk’s Colm Renehan, Senior Vice President of Advancement, and Caitlin Haughey, Senior Director of Alumni Relations and Annual Giving, their University is finding it hard to stay in touch with younger alumni, as well. At first, recent graduates can be effectively contacted with the email address that was provided to them by the school their freshman year. Eventually, however, most of them drop this email address, which means Suffolk loses contact and has no way of getting ahold of these potential donors. They estimate that there are probably twice as many potential donors that could be reached via email out there that they simply don’t have the correct addresses for. One of their solutions to losing touch has been finding alumni on LinkedIn. I brought this information up when speaking to Lauren. She just so happened to mention EverTrue, which is the other new online platform Lori brought up when she was telling me about MobileCause. Lauren described EverTrue as “somewhat of a customer relationship management system (CRM)” and said that the company has a unique relationship with LinkedIn. This helps RWU, like Suffolk, find alumni information on LinkedIn, but in an efficient way. I’m glad my University has my email address again. I may not be able to donate to them now (refer back to the part about me living with my mother), but that doesn’t mean I don’t want to in the future. Young alumni may not be able to make big donations, but every dollar counts. Even I would be willing and able to pay a registration fee to go to fifth reunion events. Higher education institutions don’t even know what kind of money they could be missing out on because of incorrect contact information. That’s why it’s important to focus on groups of potential donors that are not present in the analytics, like recent graduates in many cases, and to figure out why it is that they haven’t been reached yet.